The truth is in the numbers! 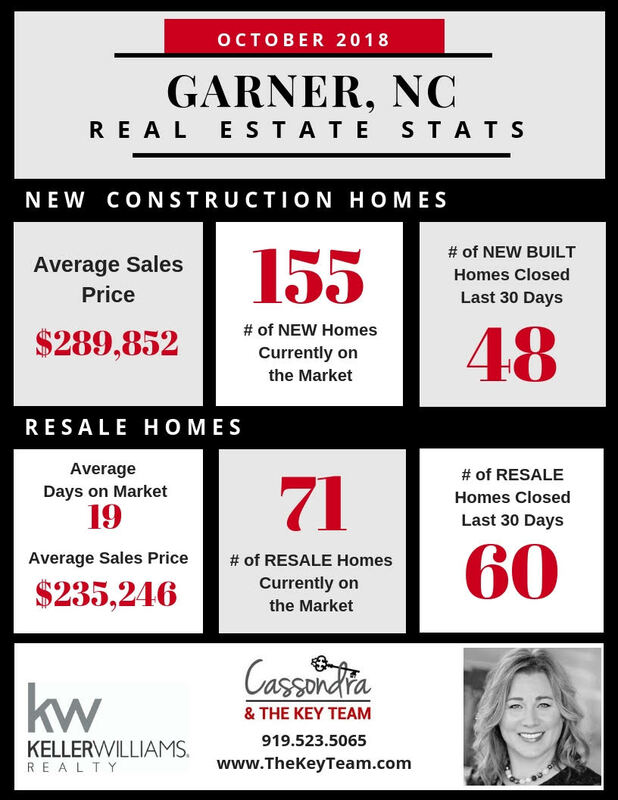 Here are the Oct 2018 real estate stats for all of Garner (Wake & Johnston). For new construction, the average sales price has risen slightly from $281,916 to $289,852. The number of new homes currently on the market has dropped a bit from 168 in Sept to 155 in Oct. As for closings, there were 48 new homes closed in Sept and the exact same amount for Oct. In regards to resales, the average days on market dropped slightly from 21 in Sept to 19 in Oct overall. We are seeing sectors of the market softening though with longer days on the market, especially in the higher price ranges. The average resales price continues to remain around $235,000. As for the number of resale homes currently available in Gartner, that is slightly down as well from 73 to 71. The one number that did jump significantly is that there were 46 resale homes that closed in Sept, but in Oct, that number jumped to 60. With the market starting to soften one, because of the time of year and two, because interest rates continue to rise, sellers are becoming more flexible on their sales prices spurring more sales. Previous Did You Know Your Dog Could Keep You From Getting Home Owners Insurance?